Picture a hungry writer sitting in an unheated attic, wearing a ragged head scarf and moth-eaten sweater over shabby clothes. She’s blowing on her fingers, warming them just enough to dip the pen into the ink well again. Then she scribbles a final sentence “the end” on a page of cheap paper, lays it reverently atop a pile of similar paper, and sighs, knowing she has written a book of aching genius that will make her fortune. At least that’s the romantic image I grew up with. Most of my young life I envisioned myself being like Louisa Mae Alcott’s heroine, “Jo.” A writer suffering for her art. Being a writer in America in the 21st Century is nothing like that. The glut of manuscripts, thanks to the ease with which one can churn out thousands of words a day on a computer—readable or not–has made publishers very suspicious of unsolicited manuscripts. Slush piles grow to towering stacks. Endless on-line submissions queue up in an editor’s in-box. Few editors have the time or manpower to skim through all of them. For those of us who first published during the days of hoping to be picked up by a traditional, royalty-paying publishing house (before the Kindle was invented and getting published through Amazon made self-publishing a viable venue) the struggle to get noticed was real. I completed manuscripts and sent them to publishers. After a while felt like I was tossing them into a black hole. Then I joined Romance Writers of America and was told about the Catch 22 of publishing. The more experienced writers said that publishers didn’t want to look at a manuscript unless it was first vetted by a literary agent. Literary agents preferred not to look at a manuscript until an author was already published. It was like being told as a child that I could not go near the water until I could swim. Eventually I learned about and joined Romance Writers of America, where I learned that the only way to break through this invisible fence was to 1) write a good book 2) go to writer’s conferences where the admission price bought us wannabes a whole fifteen minutes to make a pitch to a literary agent or editor. Problem was—writing conferences cost hundreds of dollars and my husband and I did not have deep pockets. We were trying to raise three sons on a country preacher’s pay. Things changed when a friend called and offered to give me a part-time job of stocking Hallmark cards in area grocery stores. I jumped at it. The hours were flexible, the money was decent, and the work was pleasant. Best of all, I made enough to pay for several conferences and workshops, where I sweated my way through interview after interview until a literary agent finally decided to take a gamble on me. That gamble paid off for both of us. A lot of wonderful things have happened since then career-wise. I’m a full-time writer these days. I gave the Hallmark job to a friend who needed it. Even though I no longer work for Hallmark, I have a big soft spot in my heart for that company. They unknowingly helped me sell my first book. I doubt the company is aware that the author of one of their latest movies once worked for them. I was a teeny-tiny cog in a huge company. But here’s the big news. 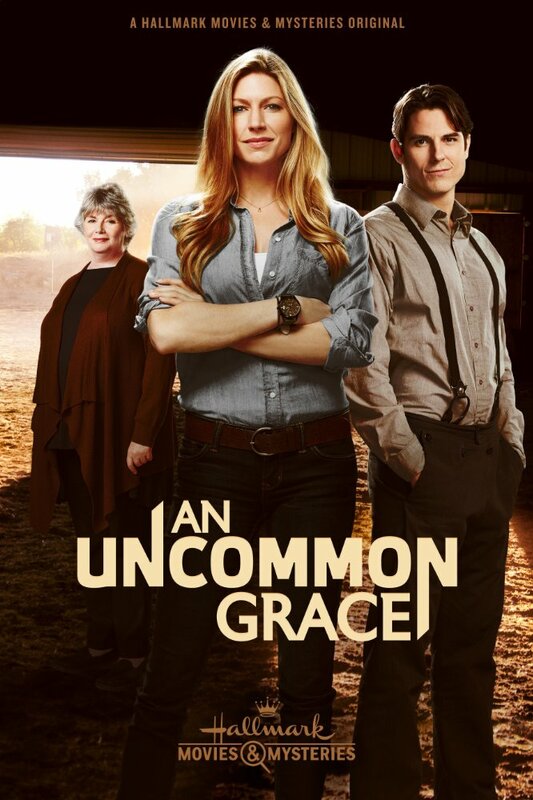 One of my Amish books, An Uncommon Grace, has been turned into a movie and will air February 12, 2017 at 9:00 pm EST on the Hallmark Movies and Mysteries channel. I think this is called coming full circle…and I am so very grateful. ← Q: Why do they shun? It sounds so mean. I would also like to see the movie. But, unfortunately, I do not have cable tv. So…I cannot get the channel that this movie is on. I will buy the DVD when it becomes available. I’ll let everyone know once it’s available on DVD, make sure to sign up for the newsletter for updates! I don’t know where you live, but I will be recording it so if you want to come to Portsmouth I will watch it with you! 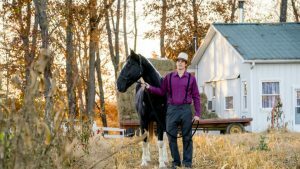 This was the best Amish book I have ever read!!! You have to read the Book before the Movie. You’ll fall in Love with the people. I read it right after it was out. I hope the Movie is as good as the Book. I have been reading books and see the Movie. Lots of times the book is very good and the movie is not good at all. But the other way too. I would Love a Movie or new book of Katie Calloway. The times after the Big Woods. Keep on writing. I’m retired and books on tape or cd is my friend. I was so disappointed in the movie as the producers seemed to not take the time to develop the plots that make this story such an amazing book. 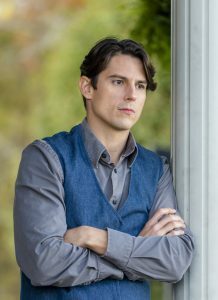 In some of the story line in the movie there was no emotional connection between the characters, especially in the relationship between Grace and Levi. The book portrays such a wonderful loving story of love and forgiveness. Read the Book! Grace. I would like to know if you have written a sequel to this book? Please let me know. An Uncommon Grace is actually already part of a series!